International internet sensation Madi Nakama runs a successful pop-culture rewatch blog site called MadLibs. Her site gets millions of hits every week. Her online life gets that much sweeter when an online flirtation has the chance to become RL (real life!). However, this romance leads to the creation of an internet troll that just might destroy everything Madi has worked for, both online and in real life. This contemporary romance novel was all kinds of wonderful. The plot felt well flushed out, and did justice to the intriguing premise. Madi was a lovely main character. With the perfect blend of awesome and awkward, Madi had me hooked from the start. It’s refreshing to have a main character who isn’t all ‘cool, calm, and collected’, especially around cute boys! One of the things readers will be drawn to is Madi’s realistic responses to situations. As with all of Danika’s characters, Madi feels real, and she doesn’t fall into typical character tropes. I also loved that characters from Danika’s 2016 novel ‘All the Feels’ popped up! I won’t spoil anything, but one minor character plays a helpful part in finding out who Madi’s troll is, and a lot of characters pop up in the internet reblogging posts, which I loved!! (I’m totally down for a crossover novella (or book!) of all these characters at a con. Just saying.) I liked Laurent, too. For lack of a better term, he felt more ‘real’ than some other love interests in other books I’ve read before. In a change of events, Laurent is living the ‘fan fell in love with the famous person’ life and storyline, we just get to read it from Madi’s point of view. As the book continued, I was on the edge of my seat to find out who Madi’s internet troll was. Danika kept me guessing almost up until the end. I also love the digital realism that Danika showcases in her books. As teenagers, we’re living in the age of phones and computers and the internet, so to see it shown as normal (because to us, it is!) in a novel makes the book that much more awesome. Overall, I would definitely recommend this book. While I didn’t devour it as quickly as I did ‘All the Feels’, I still loved the book and will definitely re-read it again sometime. Fans of ‘All the Feels’ and contemporary books about our digital world will love this book! 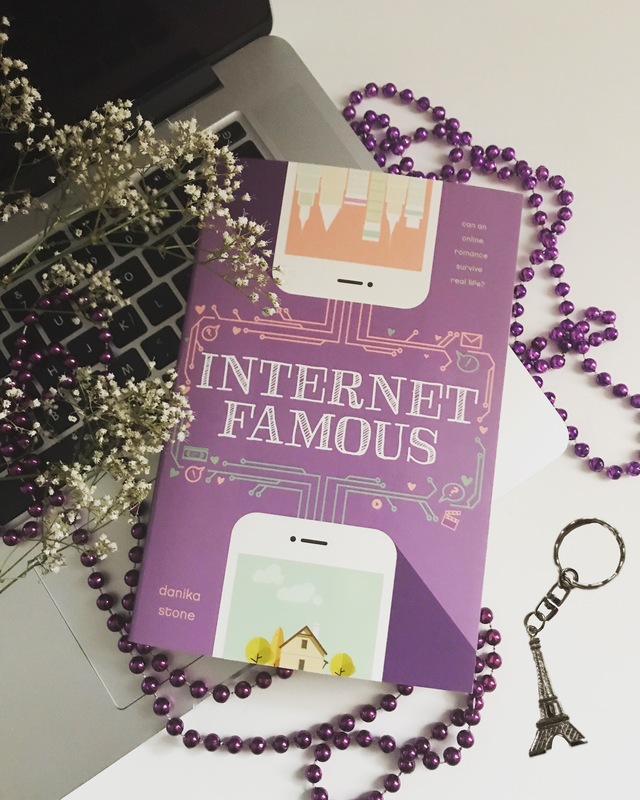 Internet Famous has been on my TBR for a while, so glad to see that you enjoyed it! I’ve been anticipating reading it for months! It’s really a great book. Have you read ‘All the Feels’? Awesome, Queens of Geek is also on my TBR!